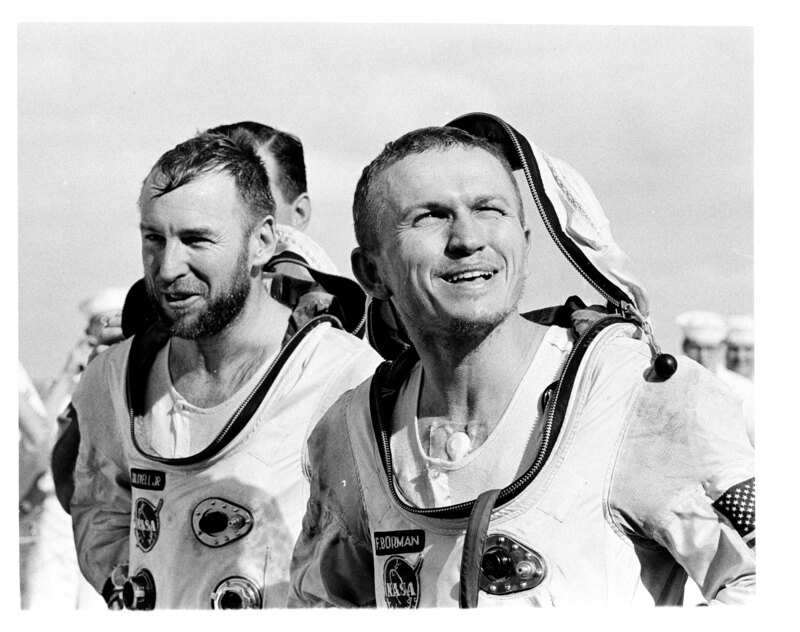 Astronauts Frank Borman (right) & Jim Lovell (left) completed the Gemini VII mission in December of 1965. Gemini VII was a 14-day mission designed to test the ability to stay active and healthy during a long voyage to the Moon. They found it to be somewhat uncomfortable, at one point forced to share a toothbrush. Three years later, they along with William Anders, flew Apollo 8 around the moon – the first human voyage away from Earth.